The folks at Anker make some of the best products currently available on Amazon, and as if that wasn’t enough they also make some of the best value products, too. They prove that you don’t always have to spend big to get something that does the job well, and right now there are nine products that are currently available at an even better price than before! 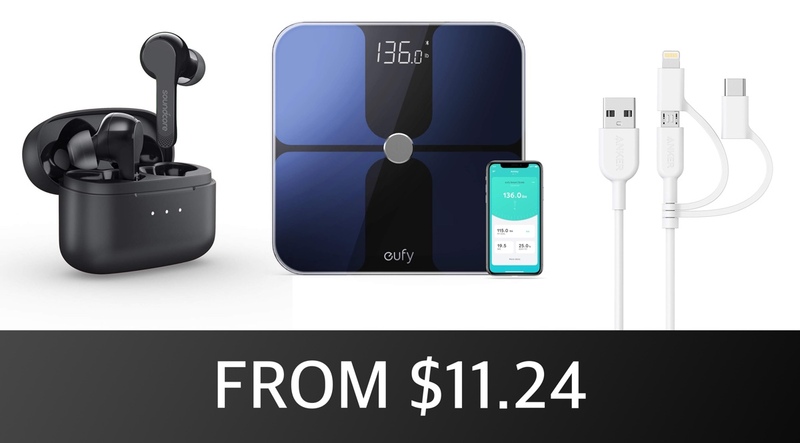 There are nine deals across many different categories, and include a robotic vacuum, some wireless earbuds, a Bluetooth speaker, a smart scale, and more. We’d be hard pushed to tell you which is the best deal of the bunch, and if you’re currently in the market for pretty much anything you really should have a scan through what is on offer here before making any buying decisions. With that said, let’s take a look at what’s available right now, shall we? You guys know how we love a robotic vacuum, so it’s difficult to look past that deal right now. That being said, everyone seems to be watching their health so maybe the smart scale will tickle your fancy?